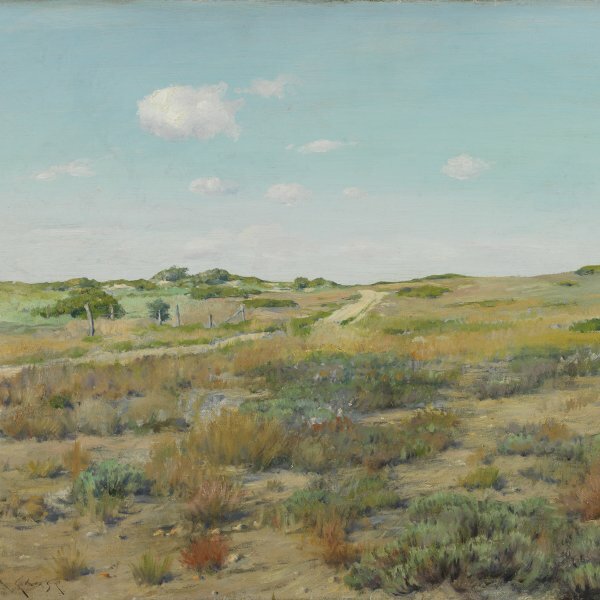 A merchant’s son, William Merritt Chase was destined to inherit the family business. However, his interest in art spurred him to go against his parents’ wishes and he became a prominent painter on the American art scene on account of his intense teaching work and involvement in many groundbreaking initiatives. Chase first trained as a painter in 1867 under Barton S. Hays and carried on studying two years later at the National Academy of Design under Lemuel P.Wilmarth.When he moved to Saint Louis in 1871, his fame as a painter of still-life scenes attracted the attention of a few local patrons who offered him financial support to further his training in Europe. His destination was the Königliche Kunstakademie in Munich, where he coincided with a large group of American artists. He travelled for nine months with two of them, Frank Duveneck and John Twachtman. On returning to New York in 1878, Chase began to teach at the Art Students League. Not long afterwards he also collaborated as a teacher at the Brooklyn Art Association, the Pennsylvania Academy of the Fine Arts and the New York School of Art, which he founded. His fame spread among students and he became the most highly acclaimed educator of his day. During this time Chase remained active as a painter. He was involved in the establishment of the Society of American Artists, which rebelled against the rigid authority of the National Academy of Design, and became its president in 1880. In 1886 Chase married Alice Gerson. 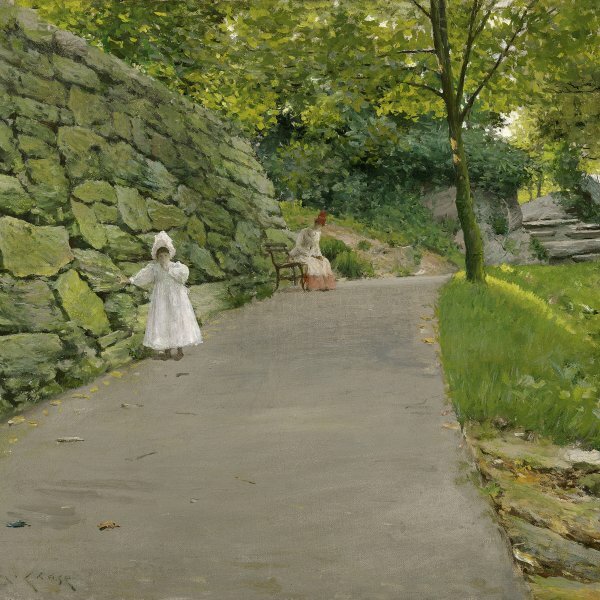 The birth of his nine children brought about a gradual shift in the themes of his paintings towards domestic scenes showing his own family or parks near New York. Although his growing interest in light effects is already apparent in these scenes, his espousal of the French Impressionist aesthetic became more evident in the 1890s. During these years Chase set up the Shinnecock Summer School of Art. In this coastal town in New York State he began to paint from life more and more frequently.